The University of Toronto at Scarborough Alumni and Community Concert Band aims to create a community of musicians from different walks of life that can share in the joy of ensemble performance. 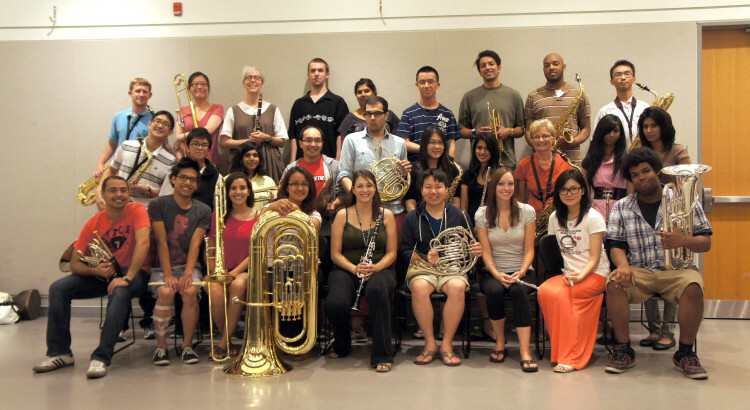 Founded in the fall of 2010, the UTSC Alumni & and Community Band has experienced rapid growth since its establishment. Now with over 35 members, we have enjoyed great success in our short history, and have delivered strong performances at the university and various community events. We encourage U of T alumni, and members from the community, to continue music outside of the formal education system, and strive to inspire minds – young and old – through the power of music!